Stu Ungar passed away at the age of 45 on Nov. 22, 1998, where he was found in Room 16 of the Oasis Motel in Las Vegas. Most believed his roller coaster lifestyle of taking a variety of drugs led to his early death. Two days later, after an autopsy was performed, it was announced Stuey had died from a heart attack. Small amounts of cocaine, methadone, and Percodan were found in his system, but not enough to have killed him. The official statement from the coroner said, "The cause is accidental death by coronary atherosclerosis. The heart condition developed over a period of time. The death was brought on by his lifestyle." Stuey's last known poker game he played in was Nov 11th, 1998 at the fabulous Bellagio. 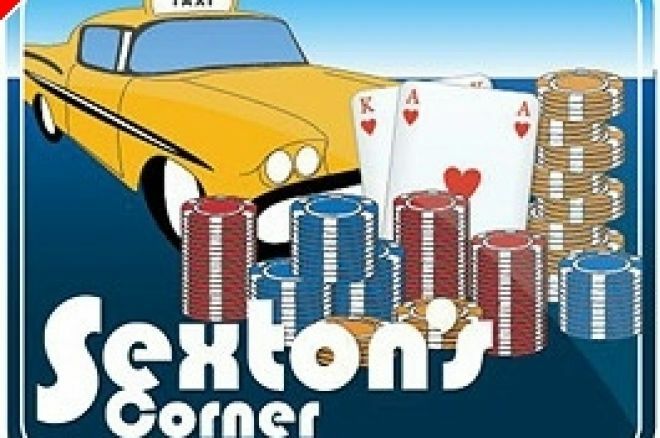 Billy Baxter had called Mike Sexton up and said to bring Stuey over to his house, as Billy wanted to give him a $25,000 stake. Stuey was down and out, and was so excited to get some backing to get back in action, he was like a happy little kid at the toy store! However, he ended up in a $5,000 freezeout with a very tough female player, Melissa Hayden, where she won fairly easy. Then a few other players sat down with Stuey, as the game began to fill up. The lineup was more than a little tough, with Hayden, Erik Seidel, Ralph Perry, and Perry Green now in the lineup. As Melissa has pointed out, it was a little eerie that Perry Green, the ultra-successful Alaskan fur trader happened to be at the Bellagio that day. He wasn't known to be a regular daily player in Las Vegas. He was the runner-up to Stu Ungar at the 1981 WSOP Main Event. In reflection, in some sort of strange way, Melissa observed, it seemed Stuey had come full circle. At the time, none of the participants knew that this would be Stuey's final poker game. It's reported that Stuey bluffed off most of his money, as he seemed off his game and a little edgy, playing aggressively, but impatiently. Stuey lost most of his money in that last poker game, as the players thought he kept a little of it, before he cashed out. Mike Sexton briefly talked to Stuey at the cashier's cage, and thought at first, perhaps Stuey was quitting to come back another day. This might be a healthy sign of discipline for Stuey. Mike said, "Don't leave yet……….I'll be back after I go to the restroom." When Mike returned, Stuey had vanished and left the hotel. One can only imagine what Stuey was thinking as he passed the water fountains that are so spectacular in front of the hotel. Was it a song like "Hey, Big Spender" by Frank Sinatra or "Time To Say Good-Bye" by Sarah Brightman and Andrea Bocelli being played with the fountains shooting 240 feet in the air, as suggested in Nolan Dalla and Peter Alson's book called One Of A Kind? Stuey's own journey would only last another 11 days, before his demise. This period of time was a mystery as to Stuey's final steps, but he did end up around the drug-den Naked City area, down close to the Stratosphere, before his last hours at the Oasis Motel. It was reported during this period, that Bob Stupak tried to help Stuey, by having him sign a contract to play tournaments for him for a percentage of his future winnings. Reportedly, he gave Stuey $10,000 for walking-around money. Stupak agreed to pay off his debts, and had assigned a bodyguard named Dave, to look out for him, so he wouldn't get on drugs. The day Stuey checked into the Oasis Motel, he had convinced the body guard to cut him loose, so he could visit his daughter, Stefanie. Instead, Stuey checked into the Oasis Motel, and passed away on November 22nd, two days after checking in, listing his home address as the Mirage. They found him with $800 in his pockets. Stu Ungar's final downward spiral perhaps began on the morning of May 11th, 1998, the day of the WSOP Main Event. Stuey had shocked the whole poker world when he won his third WSOP title in 1997. After winning back-to-back titles in 1980 and 1981, the big question was could he win back-to-back titles again. On May 11th, however, Stuey never made it from his room at Binion's to defend his title. As defending champion he was comped a free room, but never once went downstairs to the poker room. Although it had never happened before, the defending champion was a no-show! On the morning of May 11, the day the world championship event was slated to begin, Ungar's cocaine addiction was in full flare, leaving him emotionally depressed, strung out, and physically wrecked. His right nostril was practically flush against his face. The tips of his fingers had been burned black from handling the hot end of a glass crack pipe. Bob Stupak, casino entrepreneur and occasional backer of Ungar's, had offered to provide a hairdresser and makeup artist to ensure that the drug-addled star would look presentable, but Ungar never green-lighted them to come upstairs. Even minutes before the tournament's starting time, he said, he still intended to play. "I got showered and dressed. I put my clothes on. And then I looked at myself in the mirror. I looked terrible. I looked like I came from Auschwitz. That's when I knew I couldn't sit there and play for four days, for 10 hours a day, and put in a good performance. I wasn't geared up. I was physically out of it. The year took a toll on me." Ungar stopped speaking for a moment, maybe to replay the World Series nightmare in his mind. "Look, it was criminal what I did. I honestly think I could have won back-to-back if I was in decent shape. But I thought it would have been more embarrassing to have gone down there looking the way I did than for me to stay in my room and not play. In the end though, I disappointed everyone and, what's worse, I made everybody who's jealous of me happy." The last year of Stuey's life was especially tough. Perhaps we all can draw from his experiences in life in a positive way, and try to avoid some of the mistakes he made. I know that as much as his daughter Stefanie loved her dad, she has consistently made this point herself, that she hopes others might learn from her dad's mistakes in the past, which is to be commended. If you ever get the chance to meet Stuey and Madeline's beautiful daughter, Stefanie, you'll quickly discover she is one class act! In next week's Part 2 of Stu Ungar's Final Journey, that will give you an inside perspective of his touching funeral, from my personal observations during the services. The recollections will complete my five-part story about poker's most colorful gambling legend, Stu Ungar… so stayed tuned.